Oklahoma football coach Lincoln Riley had no choice but to give wide receiver Lee Morris a scholarship. After his breakout performance in the Sooners’ season-opening 63-14 blowout against Florida Atlantic, he earned it. 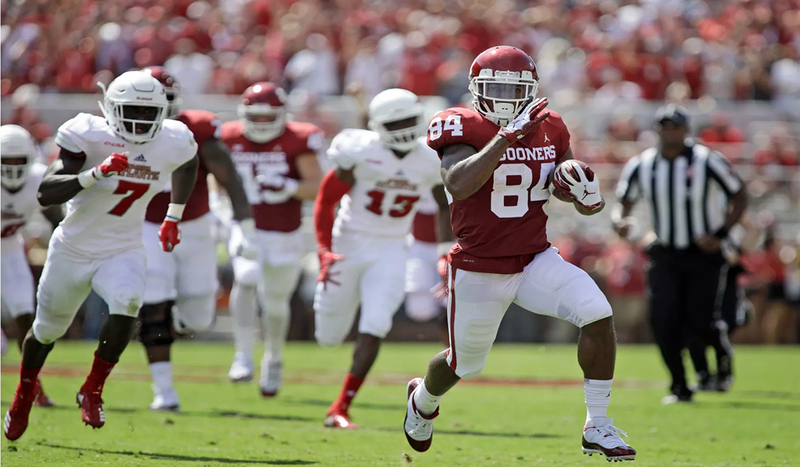 The redshirt junior entered the 2018 season with just two career catches to his name, but hauled in this 65-yarder for a one-play touchdown drive to give Oklahoma a 21-0 first quarter lead. He also came up with an early blocked punt, which the Sooners also returned for a touchdown. Morris tweeted to the new to Sooner Nation, “It’s been a dream of mine since I was kid. And now I can proudly say, that I’m playing football at The University of Oklahoma on FULL Scholarship! #BoomerSooner”.